What does the age of digital convergence, Facebook, and globalization mean for the future of the written word? Writer/carver/painter Tim Brookes offers remarkable and thought-provoking perspective on this question by looking at a range of forms of writing from all over the world that are in danger of extinction. 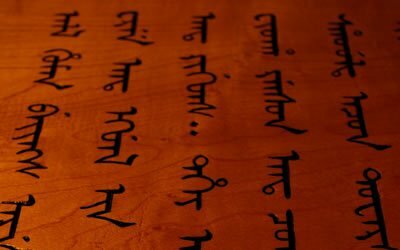 He displays a carving of a piece of text in each script, leading a discussion on how technology will help—and always has helped—define the nature of communication, and shows how the story of a culture can be seen in its writing, even if that writing is (as in these examples) beautiful, utterly unfamiliar, and disappearing.